Get ready for the 33rd annual Mammoth Fest! This special event will take place along the Mammoth Park lake shore. Mammoth Fest features free admission, free parking, great music, food, bingo, carnival amusement rides, and more! 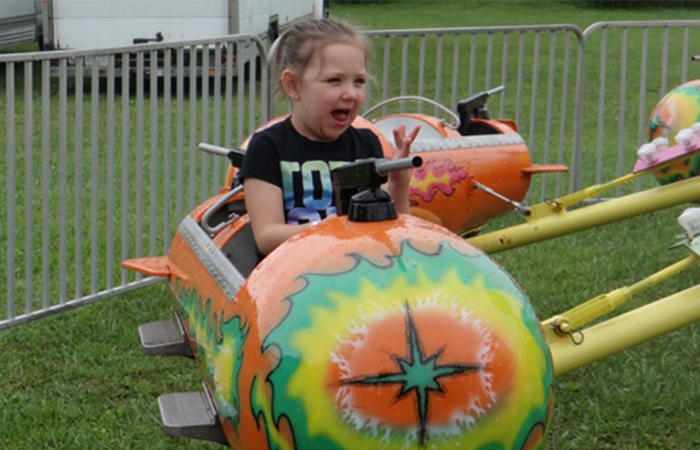 There are plenty of rides available for children including carnival rides, horse drawn trolley rides, and even a petting zoo. Guests can purchase an “All Day Ride Pass” for only four dollars per person. This pass gives children unlimited access to the amusements throughout the day. In addition to the great entertainment at Mammoth Fest, the Arts and Crafts Marketplace is a popular attraction with over 40 craft booths offering unique, one-of-a-kind items such as jewelry, woodworking, pottery, and more. Mammoth Park is located in Mount Pleasant Township, and is accessible via the Greensburg – Mt. Pleasant Road from Greensburg and via routes 981 and 982 from Latrobe or Mount Pleasant. Dogs and other pets are not permitted. Mammoth Fest is a Westmoreland County Bureau of Parks and Recreation special event. For more information, please call the number provided or visit our website.